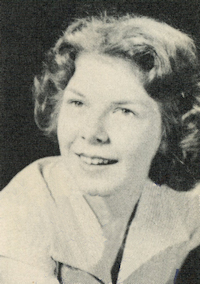 Obituary – Connelly, Verla June (Henry) « Perry High School Alumni Association, Inc.
﻿Y-Teens ’46-’47, Red Hots ’46-’48, Red Hots Vice-President ’47-’48, Home Room Secretary ’46-’47. ﻿Verla Connelly was the daughter of Irl Henry Sr. and the former Verla Oden. She was born June 15, 1930 in Holdenville, OK and died Saturday, September 15, 2001 at her home in Perry, OK at the age of 71. 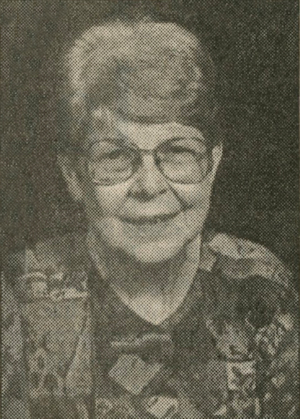 A resident of Perry for 61 years, she was a graduate of Perry high school. She had worked as a housekeeper until she retired. She was a member, of the First Baptist Church of Perry, enjoyed quilting; was an avid bingo player and an Oklahoma State University Cowboys fan. Funeral will be at 2 p.m. Tuesday, September 18, 2001 at the First Baptist Church with Rev. Buddy Hunt, pastor; officiating. Burial will be in Grace Hill Cemetery under direction of Brown-Sisson Funeral Home. Survivors are three daughters, Kasie Connelly Ledford, Broken Arrow, OK, and Toni D Connelly and Debbie S. Connelly, both of Perry, OK; three brothers and sisters-in-law, Irl W. and Hulda Henry, Perry, OK, Ron and Ethmer Henry, Odessa, TX, and Bob L. and Eva Henry, Walters, OK; one sister, Carmalita Austin, Troy, MI; one granddaughter, Lauren Ledford and one grandson, Brady Ledford, both of Broken Arrow, OK; and numerous nieces and nephews. Her parents and one brother, Don Henry, preceded her in death.